The Justice Department announced earlier this week that Diagnostic Imaging Group (DIG), a company that operates diagnostic testing facilities, has agreed to pay $15.5 million to settle health care fraud claims. DIG and its subsidiary, Doshi Diagnostic Imaging Services, previously operated diagnostic testing facilities in New York, New Jersey and Florida. The fraud allegations against DIG stemmed from three whistleblowers that filed separate lawsuits against the company. According to the complaints, DIG allegedly submitted false claims to Medicare and state Medicaid programs in New York and New Jersey for 3D reconstructions of computed tomography (CT) scans that were either never performed or interpreted. Additionally, DIG allegedly bundled tests together on order forms, which forced physicians to order tests that were not medically necessary. The lawsuits also claim that DIG paid kickbacks to doctors for diagnostic testing referrals. Doctors allegedly received payments from DIG for supervising patients that underwent nuclear stress testing. These payments, however, exceeded fair market value for the services, and were allegedly given as a reward for referring patients to DIG. The three whistleblowers that filed suit against DIG – Mark Novick, M.D., Rey Solano and Richard Steinman, M.D. – will all receive rewards for bringing DIG’s alleged fraud to the attention of the government. Novick will receive $1.5 million, Solano will receive $1.07 million and Steinman will receive $209,250. The Civil Division of the Department of Justice, the U.S. Attorney’s Office for the District of New Jersey and the U.S. Attorney’s Office for the Eastern District of New York handled the case. This entry was posted in Healthcare Fraud on February 27, 2014 by Mark Schlein. Khaled Asadi was hired to serve as the Iraq Country Executive at General Electric (GE) Energy in 2006. In 2010 while serving at his post, Iraqi officials told Asadi that his company had hired a woman with close ties to a senior Iraqi official. The woman’s hiring, according to Asadi, was orchestrated in order to curry favor with the senior Iraqi official at a time when GE Energy was negotiating a lucrative joint venture agreement. Concerned that the move might be a violation of the Foreign Corrupt Practices Act (FCPA), Asadi reported the issue to his supervisor. Not long after expressing his concerns, Asadi received a “surprisingly negative” performance review, and was pressured by GE Energy to take a demotion from his executive role into a reduced position with limited responsibility in the region. When he refused, he was terminated. Roughly a year after being let go by his former employer, Asadi filed a wrongful termination lawsuit against GE. Asadi claimed that he was the victim of whistleblower retaliation after he was fired for expressing his concerns about GE’s potential corporate wrongdoing. The U.S. Court of Appeals for the Fifth Circuit ruled against Asadi, saying that he did not qualify as a whistleblower because he reported his concerns internally within GE instead of bringing the allegations directly to the Securities and Exchange Commission (SEC). The protections afforded people like Asadi could soon change, as the SEC is working to expand the definition of a corporate whistleblower. Last week, the SEC filed an amicus brief in a case concerning Seimens AG, arguing that securities rules should apply to whistleblowers whether they report potential wrongdoing to their employers or to the SEC directly. “Securities laws recognize that internal company reporting by employees and others is important for deterring, detecting and stopping unlawful conduct,” reads the SEC amicus brief. The SEC has received thousands of whistleblower tips to date, with only a few of them resulting in rewards. If more people are to come forward with information of wrongdoing, they need to be legally protected. This entry was posted in Whistleblower News on February 25, 2014 by Mark Schlein. Kellogg, Brown & Root (KBR), one of the country’s largest government contractors, has been accused in a lawsuit of requiring company employees to sign confidentiality statements barring them from disclosing fraud to government agencies. The complaint was filed with the Department of Justice (DOJ) and the Securities and Exchange Commission (SEC) on behalf of whistleblower Harry Barko, who is suing Halliburton and its former subsidiary, KBR. Barko’s lawsuit claims that both Halliburton and KBR fraudulently inflated costs associated with various services the companies were contractually obligated to provide on U.S. military bases in Iraq and Afghanistan. In order for these claims to be pursued, Barko is demanding that confidentiality statements be turned over. Confidentiality agreements are not altogether uncommon, but the confidentiality agreement used by KBR is unique in that it threatens employees who speak out with termination or legal action. According to the whistleblower filing suit, the statements forbid employees who wish to report fraud from discussing the “subject matter” of their allegations, unless KBR’s general counsel gives “specific authorization.” The statements also warn employees that providing “unauthorized disclosure of information” could result in “irreparable harm” to the company. If the terms of the statements are violated, employees could face “disciplinary action up to and including termination of employment,” according to a copy of the statement. Barko claims that these statements are in place to intimidate employees and deter them from coming forward with fraud allegations. The False Claims Act directs government contractors to ensure that employees are free to report any instances of fraud, waste or abuse, according to the Washington Post. Government contractors are also forbidden from threatening workers that attempt to come forward with fraud allegations. 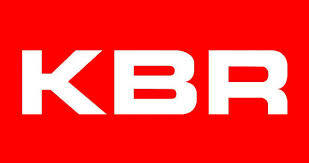 KBR was the largest government contractor operating in Iraq and Afghanistan between 2002 and 2011, securing nearly $40 billion in contracts. The company has been named in numerous lawsuits related to their contracts with the U.S. government to provide services to U.S. military bases. The National Whistleblower Center (NWC) is urging people to take action on this issue by calling on U.S. Attorney General Eric Holder and Congress to investigate the alleged cover of False Claims Act violations perpetrated by KBR. This entry was posted in Whistleblower News on February 21, 2014 by Mark Schlein. DaVita Healthcare Partners has agreed to terms with the U.S. government to settle civil and criminal investigations into possible kickback violations. The company announced last week that it has set aside $389 million to settle allegations concerning the Denver-based company’s relationships with physicians. DaVita CEO Kent Thiry told shareholders that the company has “agreed to a framework” that would settle federal investigations into DaVita’s relationships with a group of nephrologists (kidney doctors). DaVita operates over 2,000 dialysis clinics throughout the country and has entered into roughly 300 joint ventures with doctors. The government’s investigations centered on whether a joint venture with a group of nephrologists violated the anti-kickback statute, which prohibits making payments or accepting money for the purposes of influencing where patients receive care. DaVita sold ownership in several dialysis clinics to the group of nephrologists for well below market value – this allegedly in exchange for patient referrals to DaVita clinics. The nephrologists paid less than $2 million for clinics, which generated over $28 million in estimated annual revenue, according to the Denver Post. Another group of nephrologists were previously offered a similar deal for a 40 percent stake in clinics at eight times the price. That offer was refused. In addition to the $389 million DaVita has set aside, the settlement agreement will likely force the healthcare company to appoint an independent compliance monitor to ensure adherence to the anti-kickback statute. New restrictions will also be placed on the company’s joint ventures with doctors, and the company will likely buy out or sell eleven joint ventures that were under investigation. The cost associated with buying or selling these ventures has not been calculated. Lastly, DaVita will enter into a corporate integrity agreement, which is standard procedure for most settlements. The company is hoping to iron out the final details of the settlement in the coming months. This is not the first time that DaVita has been the subject of federal investigation. In 2012, the company paid $55 million to settle whistleblower allegations concerning the overuse of Epogen, a high-priced, dangerous anemia drug. That investigation changed the way the government pays for kidney treatment. This entry was posted in Healthcare Fraud, Whistleblower News on February 18, 2014 by Mark Schlein. Avon Products, Inc. announced yesterday that the company could pay as much as $132 million to settle widespread bribery allegations. Avon, which is the world’s largest door-to-door seller of beauty products, has been accused of using bribes to develop business in new markets. The company has been working to increase sales in emerging markets as sales began to decline in the U.S. The U.S. government began investigating Avon in 2011; three years after Avon began an internal investigation into allegations of improper payments in China. The U.S. investigation covers the alleged improper payments in China as well as other countries. According to Bloomberg, Avon’s internal investigation and compliance reviews have already cost the company roughly $300 million. This entry was posted in Whistleblower News on February 14, 2014 by Mark Schlein. Teva Pharmaceutical Industries, the world’s largest generic drug company, announced today that it is the subject of a civil investigation. The federal government is investigating the Israeli drug maker, specifically the company’s marketing of Copaxone, a multiple sclerosis drug, and Azilect, a drug for the treatment of Parkinson’s disease. In a release issued today, Teva said the U.S. Attorney’s Office for the Southern District of New York has asked the company to turn over any documents relating to the marketing of Copaxone and Azilect dating back to 2006. Copaxone is an especially popular medication for Teva, generating $4.3 billion in revenue in 2013. Azilect made the company $371 million in 2013. Teva reported over $20 billion total revenue during the same year. This is not the first time that Teva has been investigated by the U.S. government. In 2012, the Justice Department investigated allegations that Teva paid bribes to Latin American officials. In 2013 the results of an internal company investigation revealed “suspect business practices in Eastern Europe and Russia that may have implications under the Foreign Corrupt Practices Act,” according to Bloomberg. At this time, it is unclear exactly how long the federal investigation will take, and whether the case will lead to serious fines for the company. Most federal inquiries of this nature take three or four years to complete. This entry was posted in Whistleblower News on February 13, 2014 by Mark Schlein. A Florida man who allegedly organized and led a scheme to defraud Medicare of $28.3 million pleaded guilty last week in U.S. District Court for the Middle District of Florida. Luis Duluc, 53, has been accused of conspiracy to commit health care fraud by submitting false claims. He is looking at a maximum 15-year jail sentence for his role in the fraud. Duluc’s scheme revolved around physical therapy and occupational therapy. Specifically, Duluc used his holding company, Ulysses Acquisitions to buy several outpatient rehabilitation facilities and physical therapy providers in order to obtain their Medicare provider numbers. Through these clinics and other businesses, Duluc and his fellow conspirators submitted approximately $28.3 million in false claims to Medicare for reimbursement between 2005 and 2009. Of that total, Medicare paid out over $14 million on the submitted claims. Duluc and his co-conspirators were allegedly able to obtain information on Medicare beneficiaries by paying kickbacks or simply stealing the information outright. They were also able to obtain distinctive information on doctors. All of this information was used to create and submit false claims for Medicare reimbursement through the rehab facilities and clinics that Ulysses had acquired. These clinics would submit claims for illegitimate therapy services, or for services that were never provided. To cover their tracks, the conspirators “created and used false and forged patient records in an effort to conceal the fact that services had not actually been provided,” according to the Justice Department. Feds claim that Duluc also created an “80/20 deal” to further his scheme. The deal involved paying kickbacks to the proprietors of other therapy clinics associated with Ulysses in exchange for running false reimbursement claims through these clinics. Duluc and co-conspirators would keep 20 percent of the Medicare reimbursement for services and the affiliate clinics that submitted the claims would be paid 80 percent. Once Duluc and his co-conspirators were finished using the clinics they had purchased, they sold them to straw buyers, which were generally recent immigrants to the U.S. with no experience in the health care industry. These sham sales were done to distance the conspirators from the scheme. The case is under investigation by the Federal Bureau of Investigation (FBI) and the Department of Health and Human Services – Office of Inspector General (HHS-OIG). This entry was posted in Healthcare Fraud on February 7, 2014 by Mark Schlein. After seeing some monumental health care fraud settlements over the last few years (Abbott Laboratories and three others have all recently settled fraud cases worth billions), the public is increasingly asking, “how can these companies pay billions to settle fraud allegations without anybody going to jail?” The perception of settlements like these are that corporations are simply able to use their checkbooks to buy their way out of trouble. For some of these companies, these billion dollar settlements are merely a slap on the wrist. If you read between the lines, it would appear that Delery is saying that for some of these corporations large monetary settlement agreements alone are not enough to deter fraud. The fact that fines alone don’t work is also evidenced by the large number of health care fraud offenders that repeatedly pay big fines only to break the law again. The good news is that the “renewed emphasis” Delery pointed to has already been put into practice in recent criminal cases, such as those involving Abbott Laboratories and Par Pharmaceuticals. These cases have resulted in plea agreements where executives themselves must certify for several years that any fraud violations have been disclosed. Moving forward, it appears that the “higher stakes” could add jail time to comprehensive settlement agreements. What remains to be seen is the effect this increased enforcement will have on deterring fraud. This entry was posted in Whistleblower News on February 6, 2014 by Mark Schlein. Federal prosecutors have charged the owner of Passages Hospice LLC with fraud, accusing him of executing a scheme to bilk money from government healthcare programs. The charges against 46-year-old Seth Gillman were made public on January 27th. Gillman is an administrator and part owner of Illinois-based Passages, a hospice services company that sends medical staff to provide end-of-life care for patients in nursing facilities or in their homes. According to the Chicago Tribune, Gillman trained nurses to “look for signs that allegedly would qualify a hospice patient for general inpatient care, resulting in payments per day more than four times higher than routine care rates.” The charges against Gillman also state that in many cases, patients that were recruited for general inpatient care were not terminally ill, and thus not eligible to receive hospice care. Gillman was able to keep his staff actively engaged in the scheme by paying out large bonuses, a luxury he also bestowed on himself. According to prosecutors, he paid himself more than $830,000 in bonuses. A nurse that worked for Passages told investigators that her bosses urged her to give patients unnecessary care because that’s “how we make money.” Another supervisor told the nurse to “stop the Mary Poppins charting” and fake some paperwork in order to charge more for care. In one instance, Passages allegedly billed Medicare $192,000 over the course of four years for treating a single patient, even though this patient didn’t appear to be in danger of dying until the last month of her life. If employees complained about providing unnecessary care, they were berated by Gillman, moved to another department or terminated, according to prosecutors. Gillman has been charged with one count of healthcare fraud and one count of obstructing a federal audit. He has been released on a $150,000 bond and has been barred from the daily operations of Passages while charges against him are pending. This entry was posted in Healthcare Fraud on February 3, 2014 by Mark Schlein.